The WWE Superstars fashion dolls came up in conversation back when I reviewed Mattel's Wonder Woman dolls, since Battle Ready Wonder Woman and Diana Prince have very similar bodies to the WWE Superstars. I bought a few of the WWE dolls shortly after that review and--of course--it's taken me this long to get around to de-boxing them. Better late than never though, right? I'll focus mostly on Eva Marie in this review, but I'll also show you two of the other characters I bought. 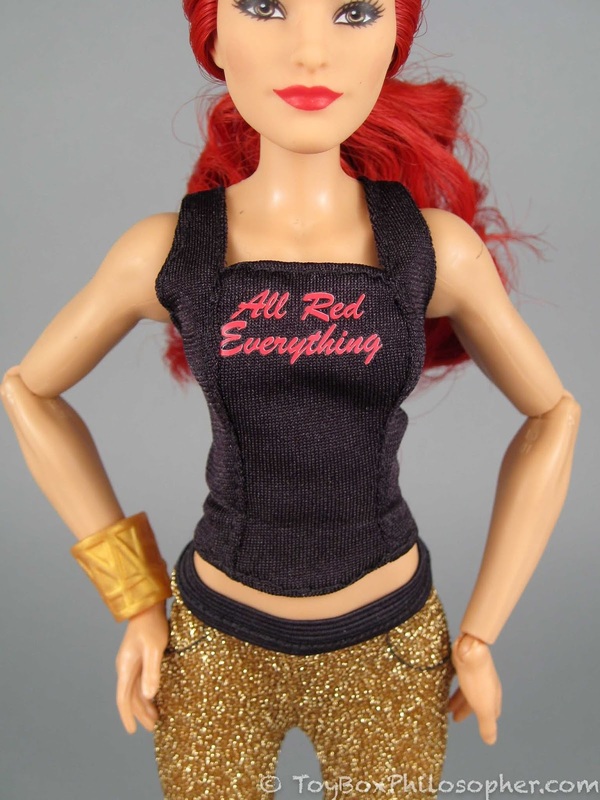 The nice thing about my procrastination is that many of the WWE dolls are significantly discounted at this point. 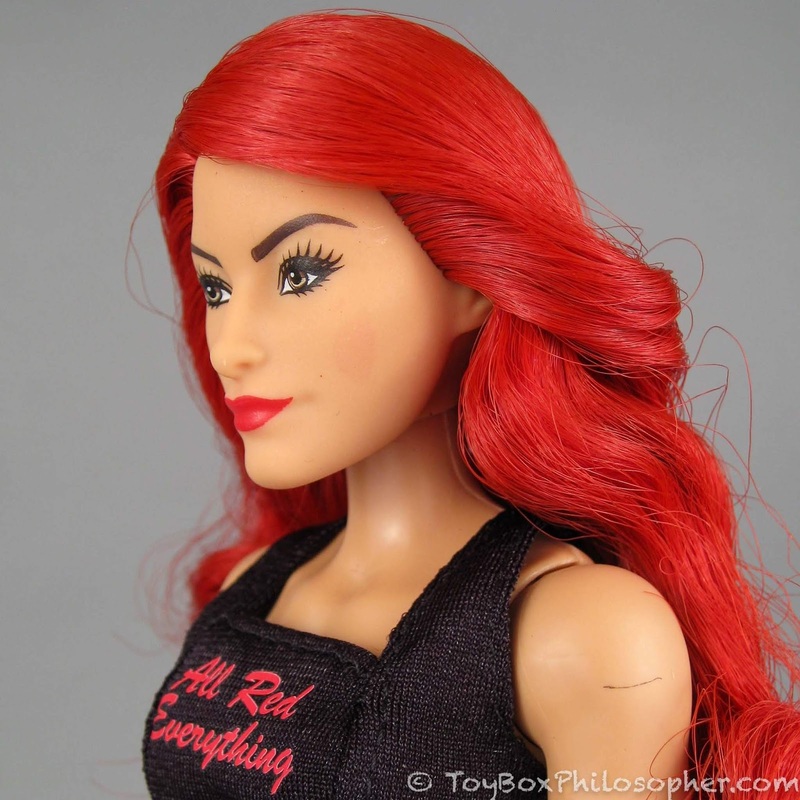 For example, I paid $14.99 for Eva Marie at Target, but she's only $8.99 at Amazon now. I'm not sure if the lowered prices are because the line isn't very popular, or if perhaps Mattel is just getting ready to release a new wave. I actually found it difficult to pick which character to buy, though. I couldn't simply pick my favorite competitor because I'm not at all familiar with the world of professional wrestling. I did watch one WWE match back in my childhood, but I only watched because Cyndi Lauper was slated to make an appearance (I was obsessed with her back then). Rowdy Roddy Piper actually attacked Cyndi Lauper during that show, and all of my friends and I screamed and threw stuff at the TV. Good times. Another reason I had a hard time picking a doll is that there are so many of them! 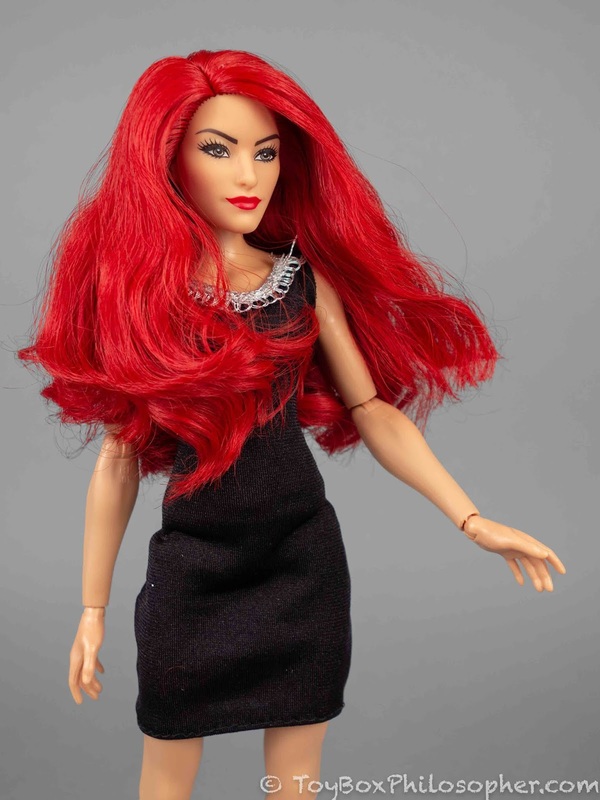 Every time I went out to buy one of these dolls, I'd look at each character that was in stock, but I'd also check the backs of all the boxes, looking for photos of additional dolls that might be available online. Each doll seems to have a completely different group of other dolls on the back of her box, so I got quickly overwhelmed by the options. There are a lot of subgroups in this collection that don't make any sense to me as a WWE know-nothing. 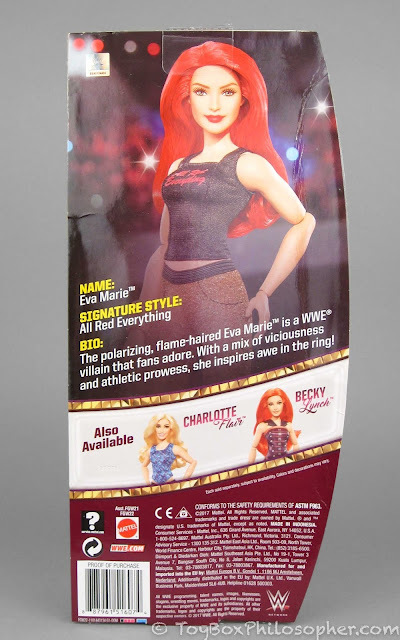 The other two dolls advertised on her box are Charlotte Flair and Becky Lynch (another redhead!). 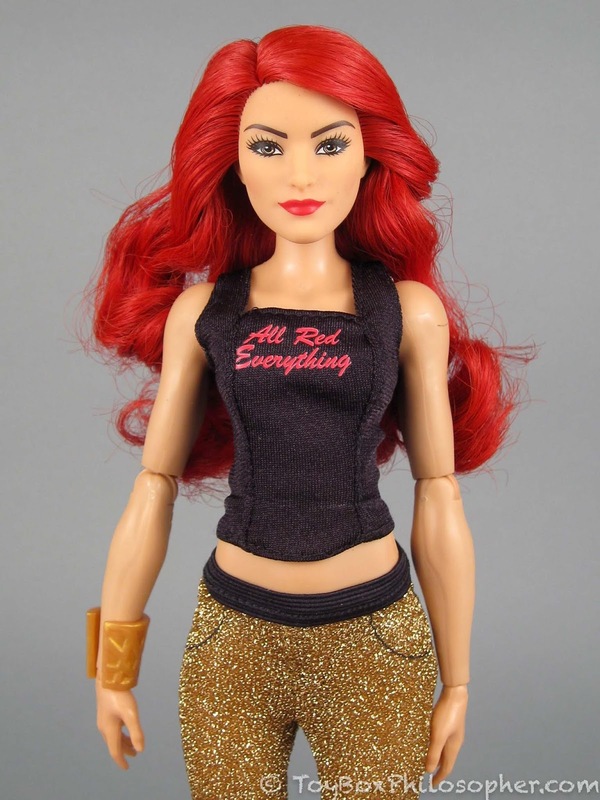 I've counted at least 20 different dolls in the whole WWE fashion doll collection, and there might be more than that. I've yet to find all of them nicely listed in one place. 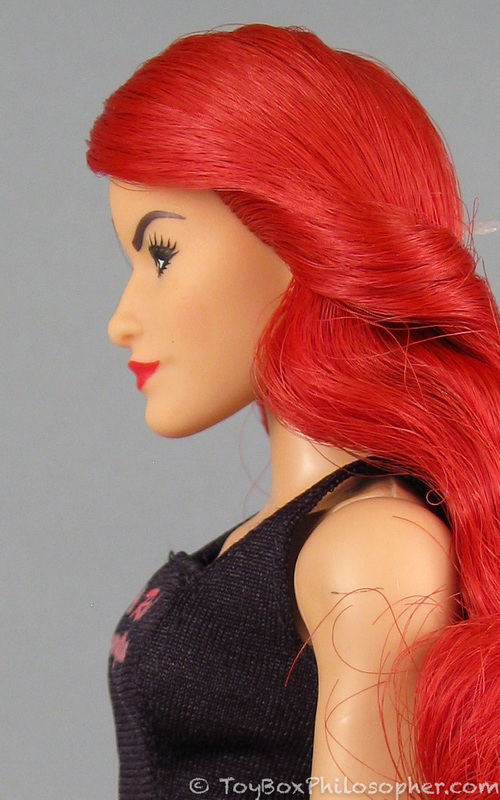 The last reason I had a hard time choosing a doll is that, at least to me, many of them have unattractive faces. 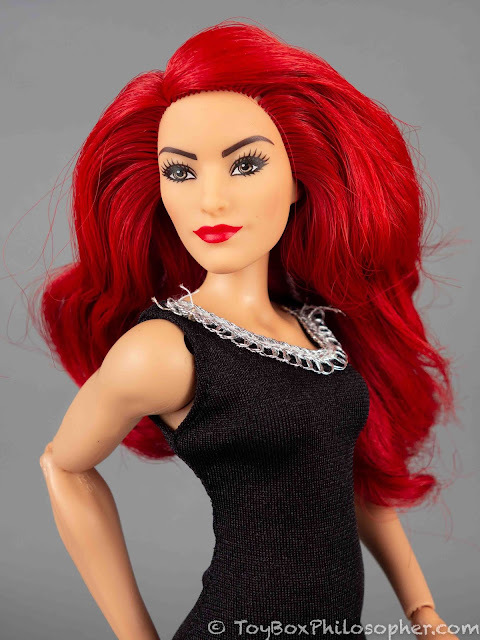 The tough, sassy, over-the-top personalities of these wrestling celebrities don't always translate well into a doll face. 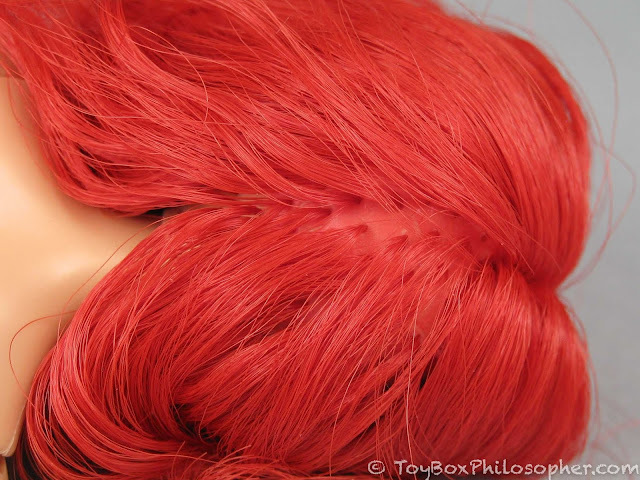 Bright red with a hint of orange. I'll pretend it's a tattoo. Eva has a strong chin and a long, straight nose. 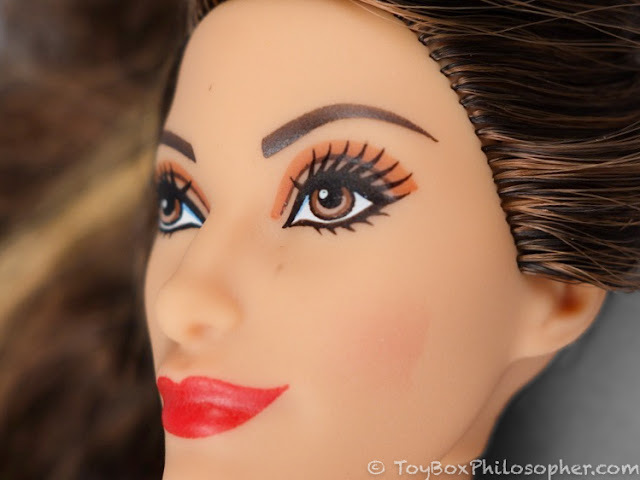 There's also something in the set of her smile that makes her slightly edgier than most Barbie dolls. 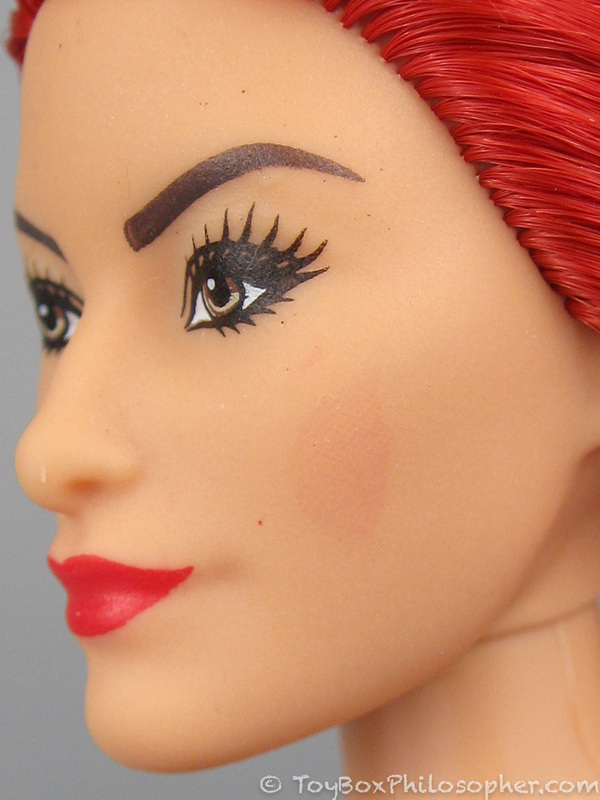 It looks like the blush was meant to be applied as a faint red circle (bad idea) but neither side got the full application of paint. 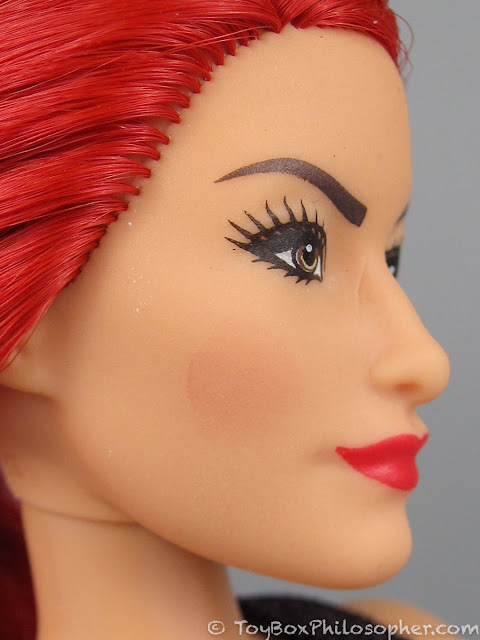 There's also a molding defect along the right side of Eva's nose. I'll pretend that's a scar. I like these pants a lot. They're simple, but they're fun and really easy to put on. 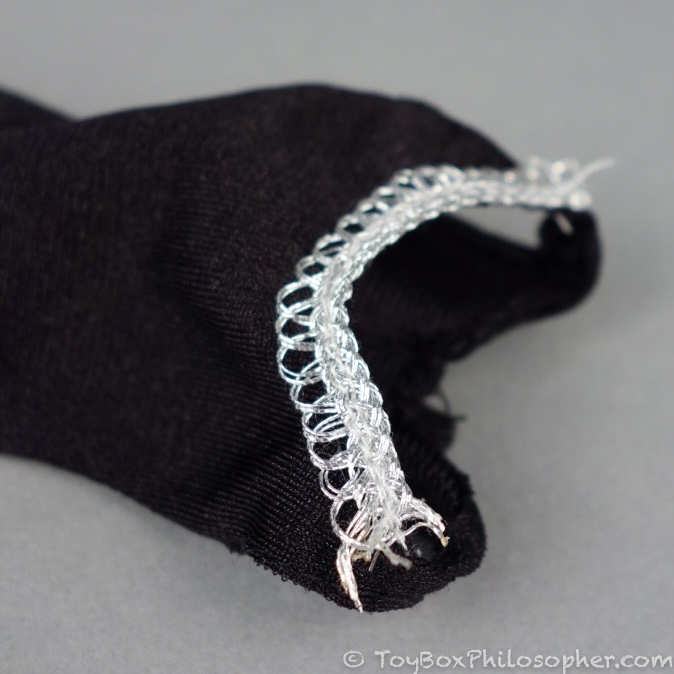 The clothing is simple, but it's reasonably well-made and easy to use. I might try to remove the lettering from Eva's shirt, since I'm not a wrestling fan and I think the outfit would look great with a plain black tank. 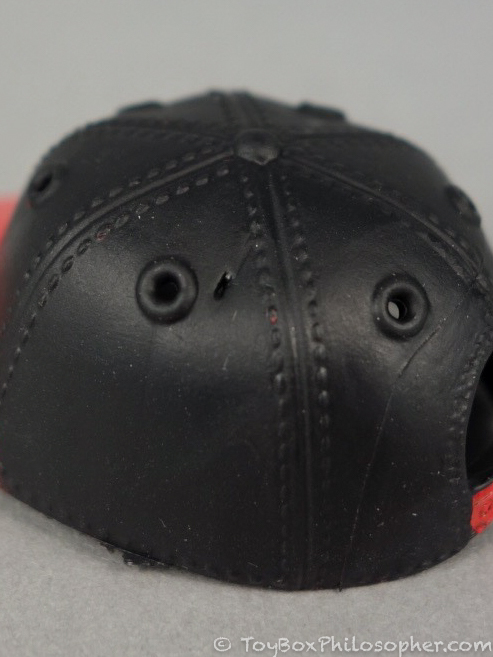 Ramp up the quality control just a bit, Mattel, please!! And the rotation in her knees almost allows her to cross her legs! 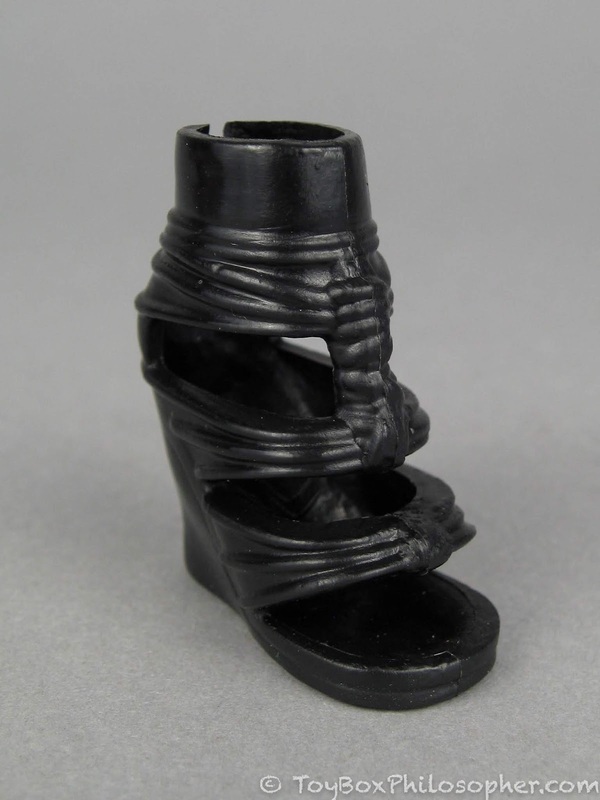 Maybe she can wear flip flops! 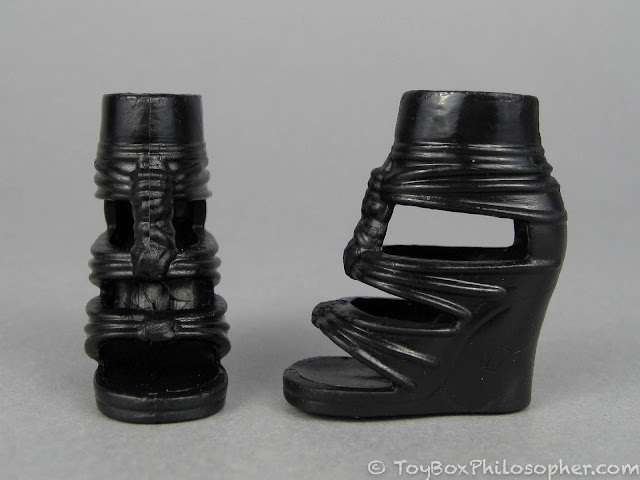 Maybe she can drink through her feet..? WWE Superstars (left) and Diana Prince (right). The hand molds are the same. 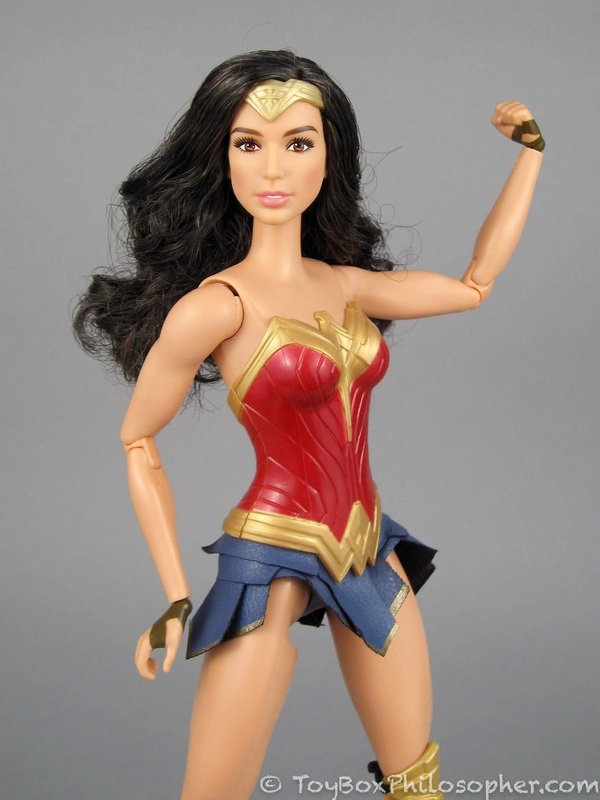 Diana Prince wearing WWE Superstars outfit. Or at least similarly severe eyebrows. 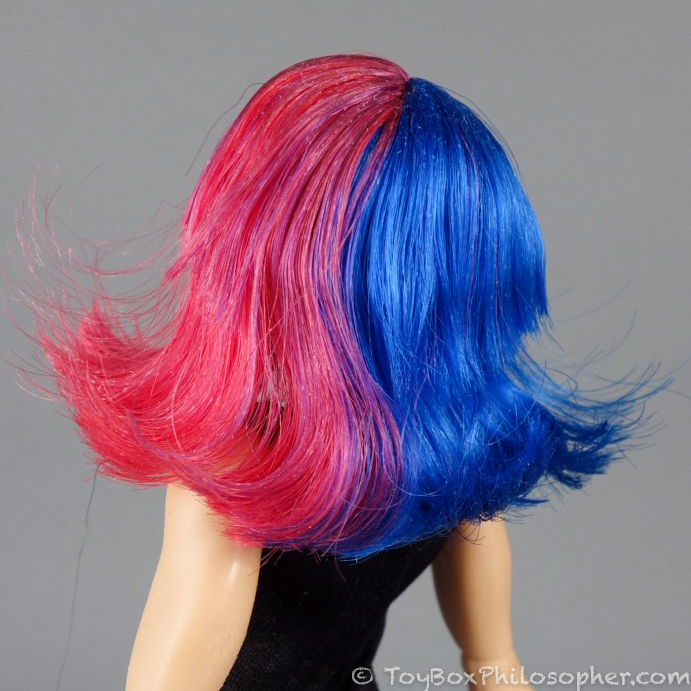 DC Super Hero Girls (left) and WWE Superstars (right). 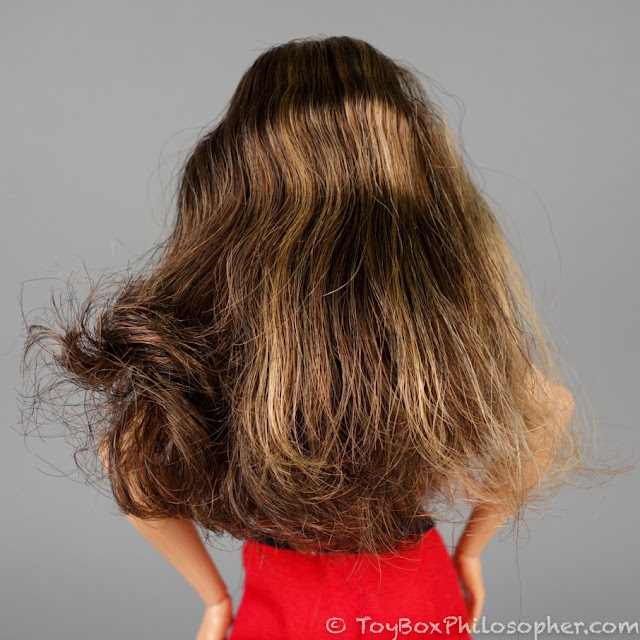 The hair fiber seems prone to mats and tangles, but it's densely-rooted and looks full and lovely when it's freshly brushed! And the only other action shot I managed was this "light jog:"
She's actually quite a striking doll who was very fun to photograph. 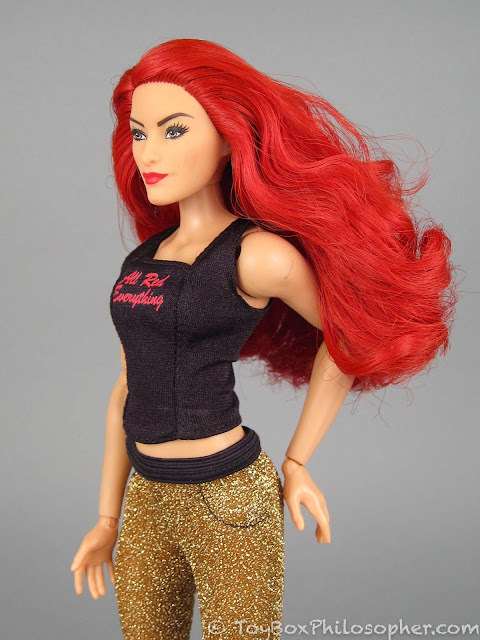 I bought a second WWE Superstars doll because I wanted to investigate the more deluxe ($19.99) dolls in the line. 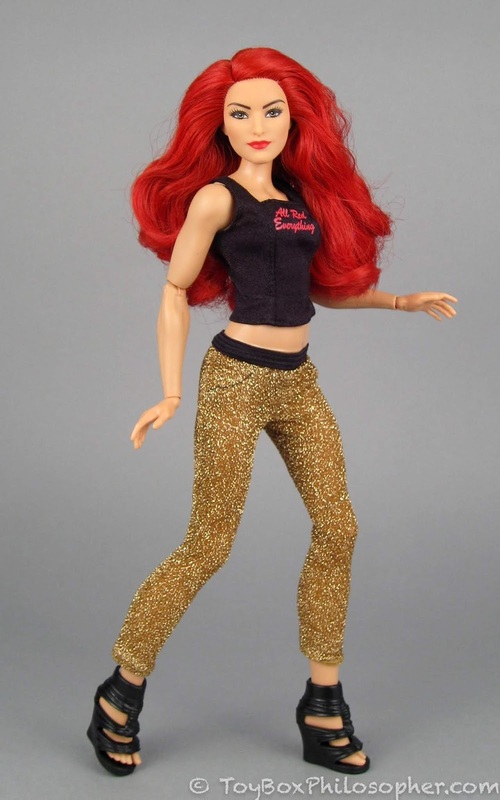 The only difference between these dolls and the $14.99 basics are that the deluxe dolls come with one extra outfit. I really like Sasha Banks' green dress, too, but I never found her in the store to get a good look at her face. If they had just lined up the ties with the holes that are actually supposed to be in Nikki's hat, it would have been so much better! 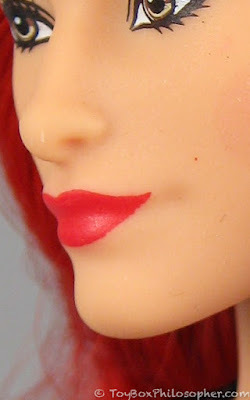 Because the face mold doesn't actually have a smiling mouth, the more smiley the doll's painted lips are, the stranger the mouth looks up close. I like how this doll has a slightly lopsided smile. I'm not sure if it's a defect or if it's intentional, but it adds a lot of character. I like how the shoes coordinate with Nikki's bright lips. I'll have to try and fix that neckline because it really detracts from an otherwise great look. There's some fun mixing and matching that can be done between my two dolls' outfits. I especially like Eva with Nikki's red shorts and red shoes! I have one more WWE Superstars doll to show you really quickly. I bought this doll several months after I picked the first two. I saw her on Amazon and thought she looked unique. Also, she was only $12. The Leaning Box of Asuka. 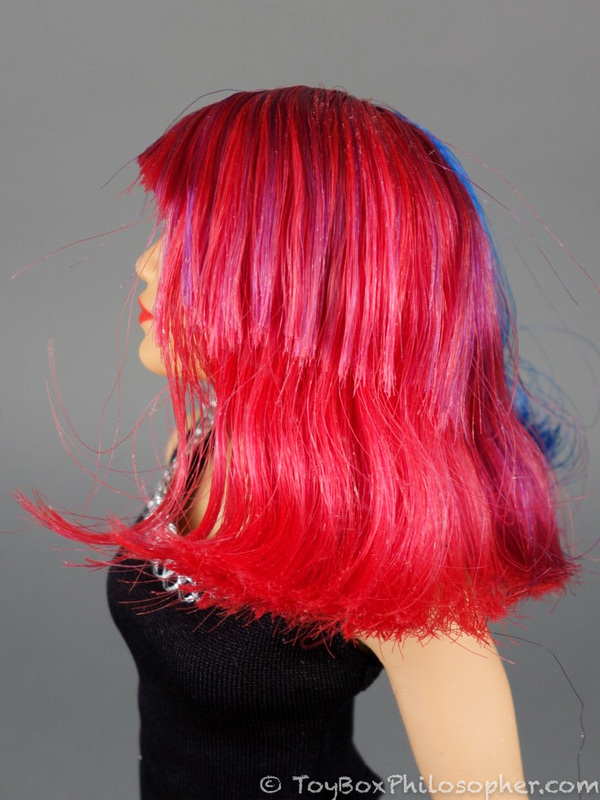 Her name is Asuka and she's modeled after a famous wrestler of Japanese descent. Her outfit is really simple, but I appreciate that it doesn't have any lettering on the front. It's much more versatile than some of the other costumes. Asuka's skin tone is lighter than Eva's and Nikki's, too, and I like this variability. (She's also got quite a few paint smudges on her face, especially around her nose). Asuka's eye (left) has visible dots in the texture of the paint, while Eva's eye paint is solid and bold. 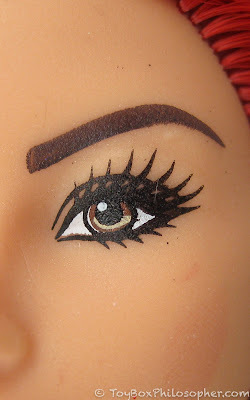 I like this doll, even with her lower-quality eye paint, smudged face, and crispy hair. 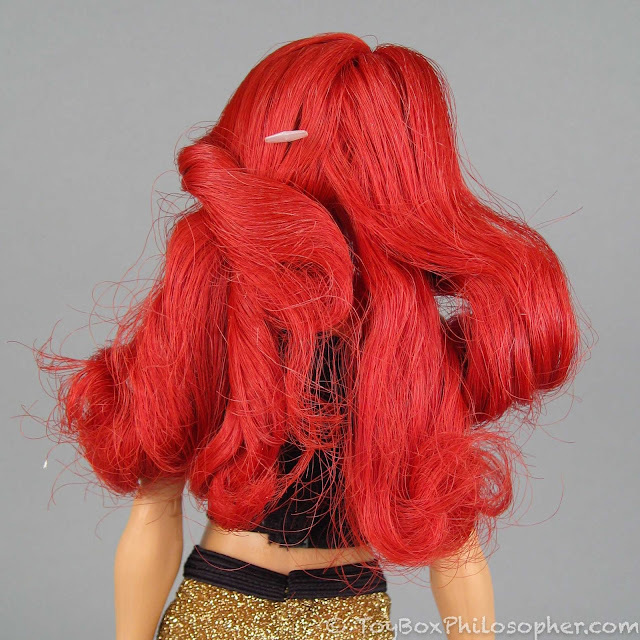 For some reason it occurred to me at this point to try the WWE Superstars clothing on one of my Curvy Barbie dolls. Curvy Barbie wearing WWE Superstars clothing. 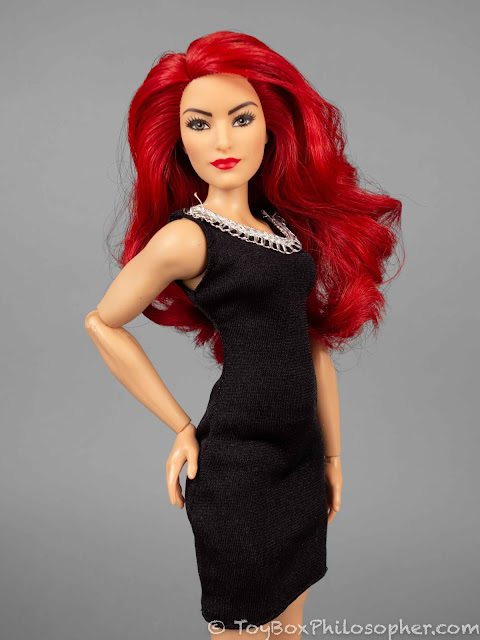 My favorite combination from the whole group of dolls and outfits is Eva Marie wearing Nikki's black dress and red shoes. There'd be no way to guess that this was a wrestling doll from these pictures, but maybe that's why I like the combination so much. Bottom line? 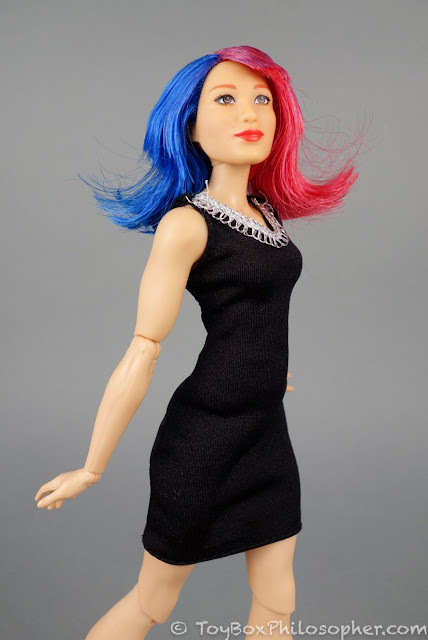 I'm not sure what the audience is for fashion doll versions of professional wrestling celebrities. It's not a world I know anything about, so I can't even begin to gauge the scope or enthusiasm in this particular niche market. 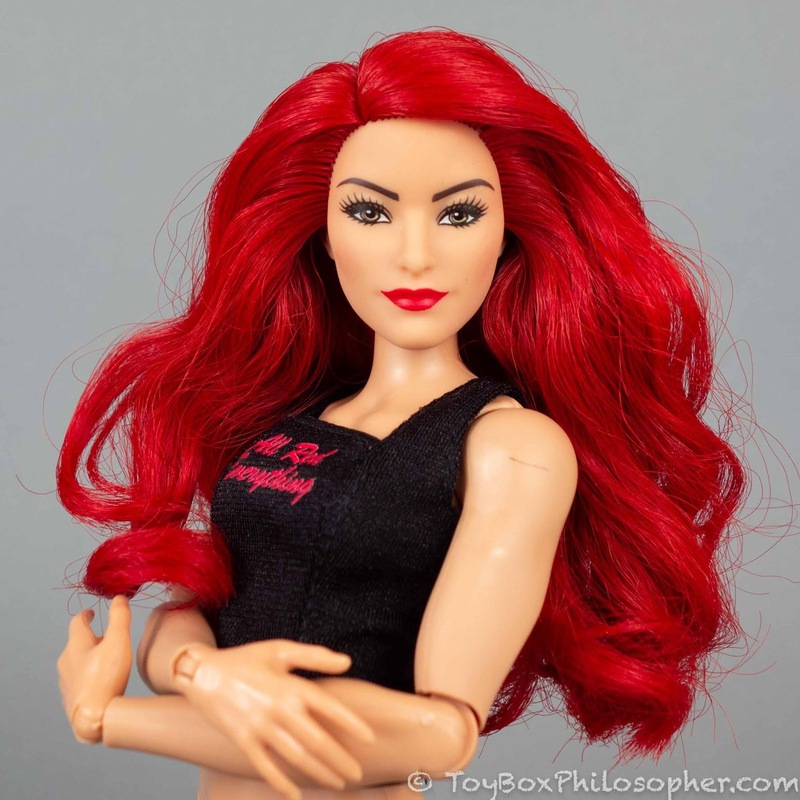 What I can say is that the dolls have plenty of interesting characteristics, even from the perspective of someone who knows nothing about wrestling. 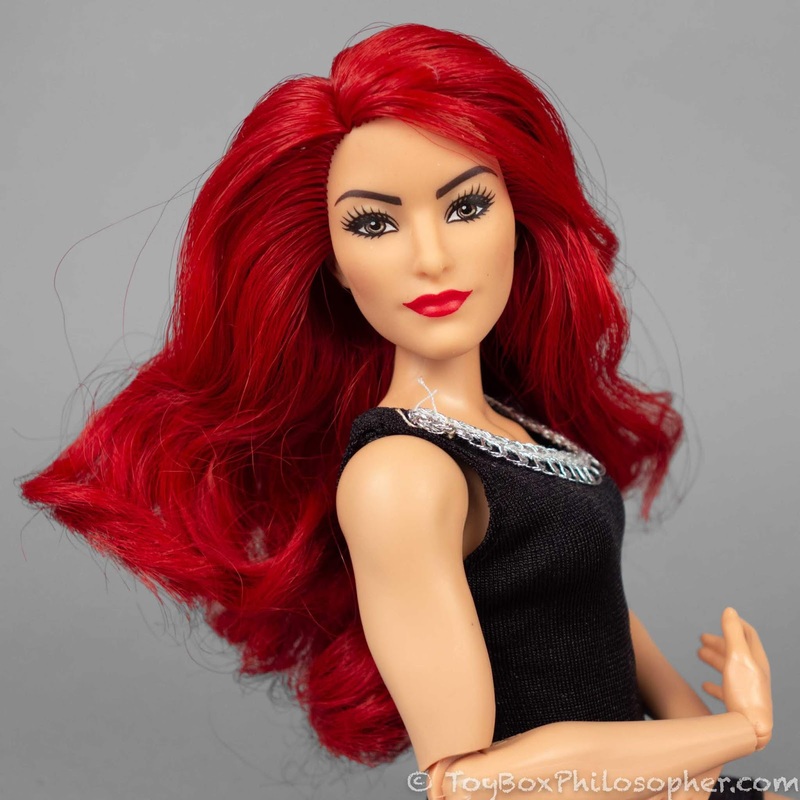 First of all, the dolls have a highly articulated, muscular body that makes them stand apart from Barbie dolls, Disney Store dolls, and other popular fashion dolls in this scale. I really like the muscular body. I find it more realistic than the skinny body of regular and Made to Move Barbie dolls (which I rarely criticize). The articulation is also quite good, especially in the arms. I wish that the hips were more flexible, and I also wish that rotation of the lower leg was smoother, but overall it's a nice body. 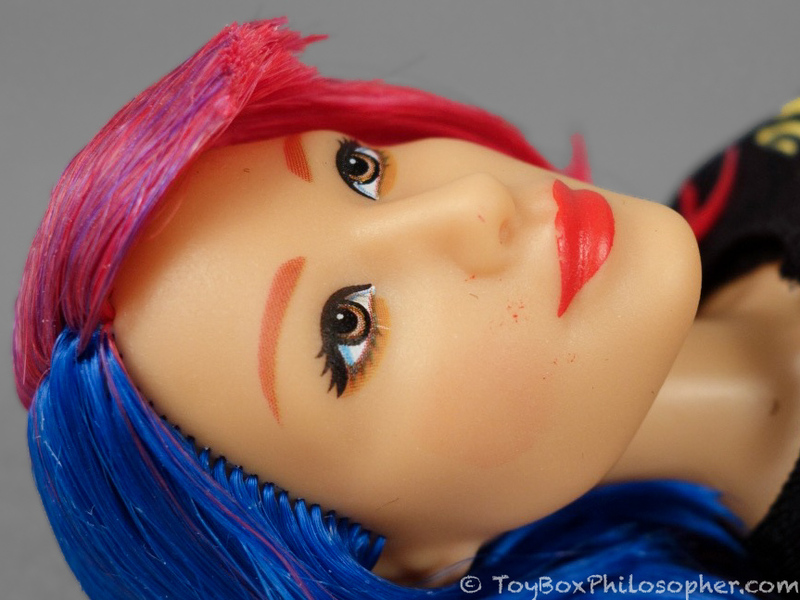 Second, because of the dramatic personas of wrestling stars, many of the dolls have unusual hair styles, colorful hair, or strong facial expressions. While I'm not always seeking out dolls with wild coloring, I do enjoy seeing this kind of diversity on the market. It's refreshing. I also don't think all of the Superstars' facial expressions look very good, but many of the dolls (like Eva) strike a great balance between accessible and tough. To me, the problem with this line (other than the overload of small manufacturing flaws) is that the dolls are being marketed exclusively towards fans of the World Wrestling Entertainment. 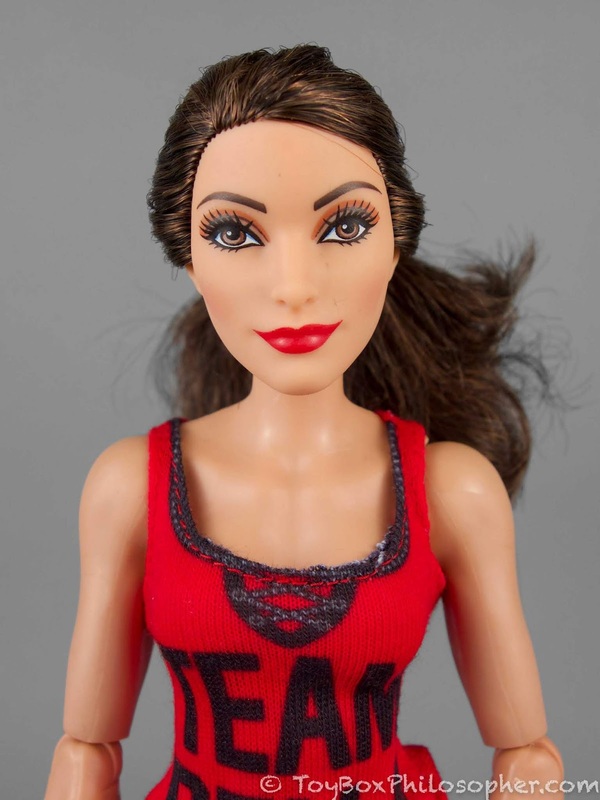 At Target, the Superstars are displayed far away from the other fashion dolls, mixed in with the male wrestling action figures and adjacent to movie and video game collectibles. That's a great aisle, by the way, it's just not where I go when I'm looking for a fashion doll. 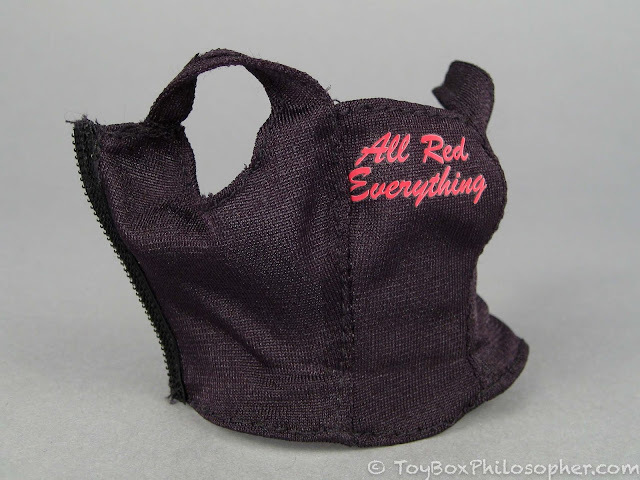 Also, because the dolls come dressed in their character's distinct wrestling costume (sometimes with a slogan or a bold-lettered name dominating the design), there's not much room for kids to use the toy for more generic imaginary play. The deluxe sets are a nice solution to this problem, but there are fewer of those than of the basic sets, and I have yet to see any stand-alone clothing packs. 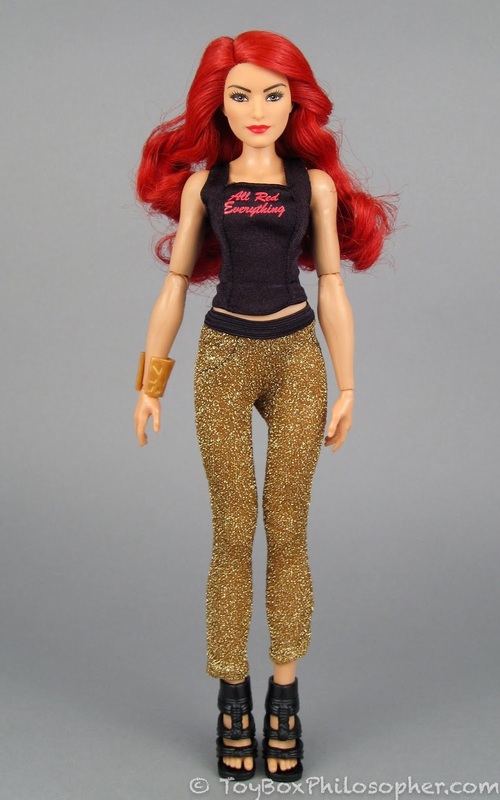 I think Mattel should just add this body type to their increasingly diverse Fashionistas line-up. I don't know what they'd call the dolls (Fit Barbie? 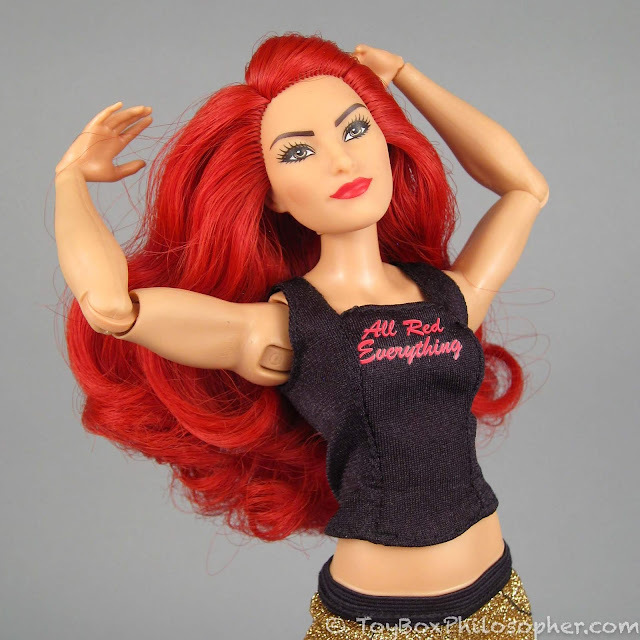 Athlete Barbie? Muscular Barbie??) but I suspect they'd be reasonably popular. 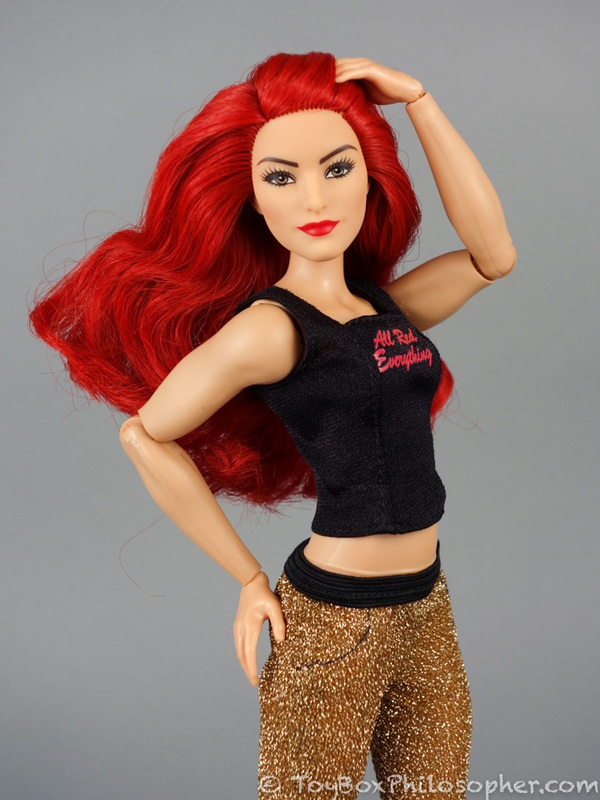 I know that their wardrobe sets would fly off the shelves, many of them into the hands of WWE Superstars and Wonder Woman doll owners (like me!) who are looking for a change in style. Asuka's face is very different than usual, which makes me more interesting. I can hardly remember the difference in faces of the other two, but can clearly see Asuka. 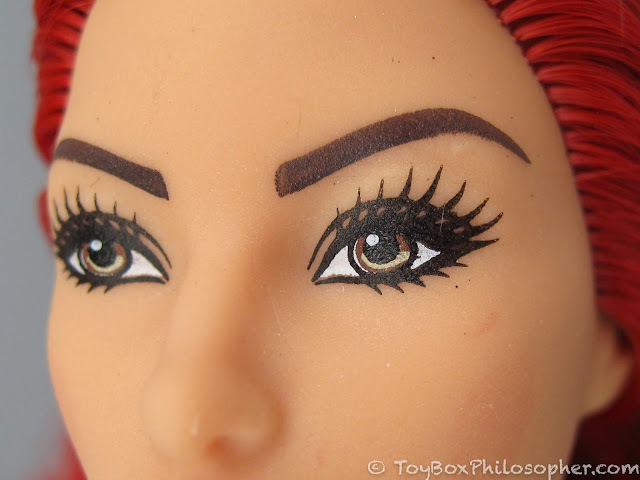 What gives Eva her fierce look is her eyebrows. Cover the top of any pic, and she's got a normal smile. Cover the bottom of any pic, and she looks like she's going to whomp you. When Toys R Us was going out this past summer they had a lot of all three dolls in Eva's series. I almost got Eva, but I decided on Becky. I thought she kind of seemed like a goddess or something,but the best I could do for a goddess dress for the photos for my blog post was a vintage orange scarf. Sounds awful,but it turned out pretty well! 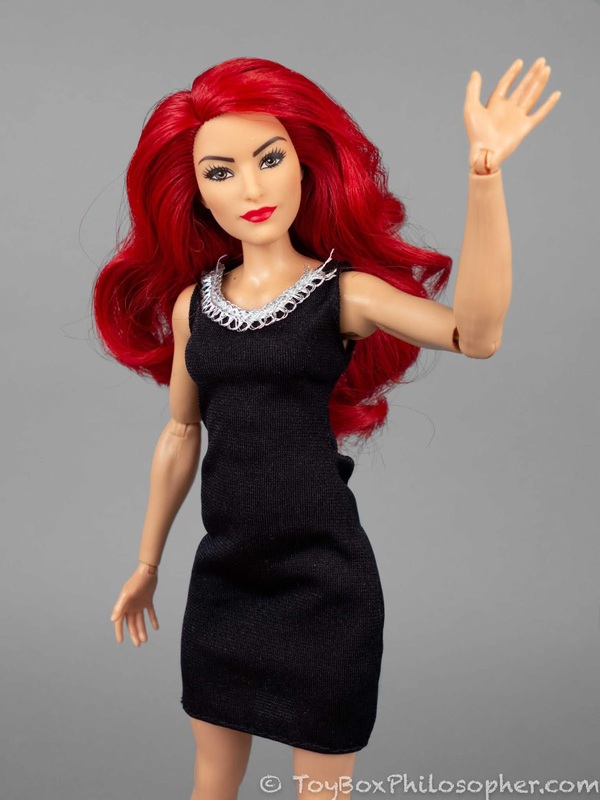 I have two of these dolls and just love them, but discovered the hard way that their hands aren’t removable! Yikes, I thought that was pretty much a standard feature these days in articulated fashion dolls! Er, anyway, I guess I just need find more chairs for everyone to sit in, since the WWE ladies sit so well. Still really annoying that they're meant to be active and their legs ruin that option. I agree that they should've put these dolls in with the other fashion dolls, I only saw them because they were on the end of that aisle and the bright colors caught my eye, but I wouldn't be surprised if their unfortunate hip-joint short-comings have also kept them from getting much buzz. Poor Becky Lynch though... I'm a bit of a hypocrite, since I found the new Marvel line of Super Hero dolls, bought the deluxe Squirrel Girl immediately, and unboxed her same day. Then she also disappointed me since her legs are green under her tights... which is way less versatile than I wanted. They re-used the legs from the standard Squirrel Girl and hid them... I also have a sneaking suspicion that while she has Made to Move knees (I think most of this line does), her hips will also limit her posing options. 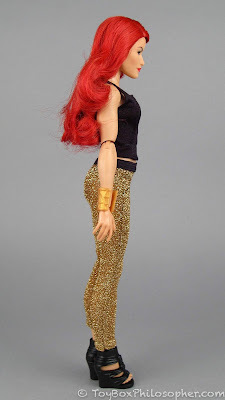 But at least she stands well and has articulated elbows and wrists! 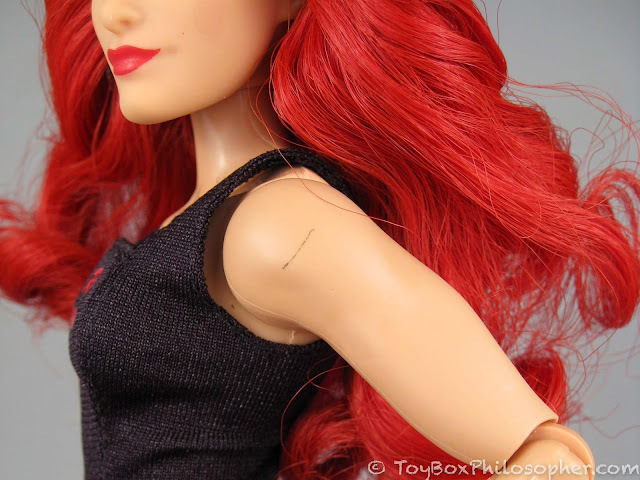 Some of those poor dolls only have shoulder articulation. So, at least Squirrel Girl is on the WWE ladies level while having a relatively unique body. I'm still really irritated at how Mattel cuts costs. I get why but there has to be a better way! - I couldn't help but chuckle while reading your review of Eva when you mentioned how little of a wrestler she resembled and how photogenic she is. 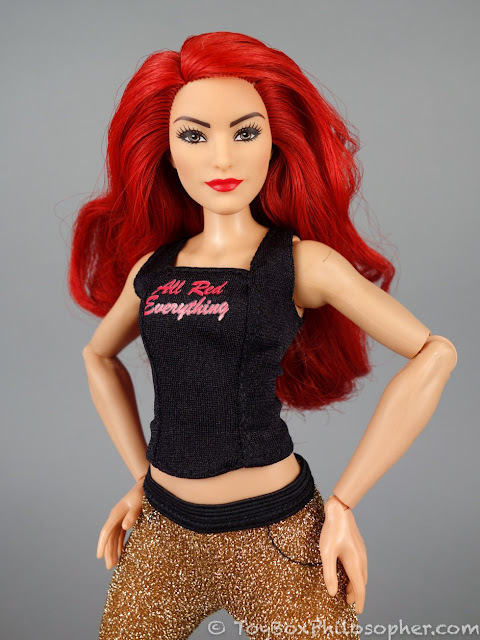 That's because she was actually released by WWE just before these dolls hit stores. She never was that talented in the ring, even after going through a lot of training, and many fans believed she was just hired because of her good looks. She's since moved on to modeling and creating her own fashion lines, so the argument could be made she was never too invested in wrestling to begin with. - The real wrestling stars made in this line are Sasha Banks, Charlotte Flair, Bayley, and Becky Lynch, known as the "Four Horsewomen" of the WWE. In the developmental territory they regularly tore the house down with their performances and have been making a number of historic firsts for women on the main roster, such as main eventing shows and putting on longer, more intense matches that typically only the men did in the past. That's why they're a bit more prominent in the line than the others. 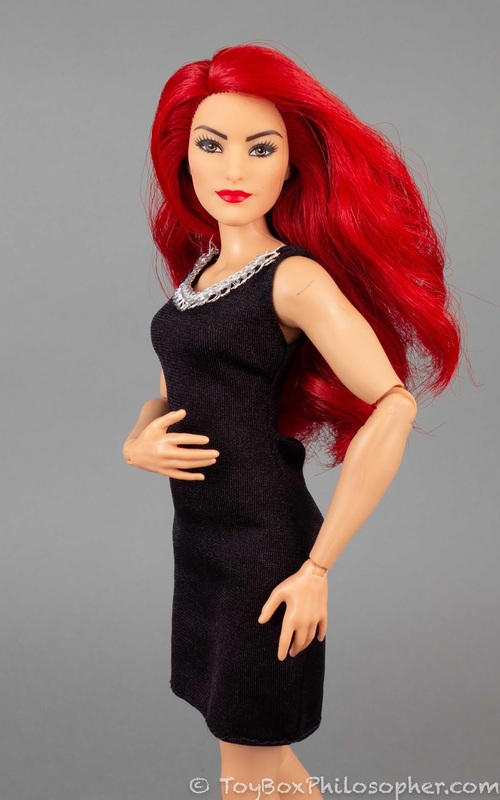 - Like pretty much all of Mattel's "niche" doll lines, this one also looks to be on precarious ground. The original line-up, the seven you see on Eva and Nikki's boxes, was a TrU exclusive when first released, before hitting other stores about six months later. Because TrU kinda overstocked them, sales dried up, especially when it came to the other stores. A second wave, containing those on Asuka's box as well as at least three more deluxe figures, has barely made it into stores. Most of mine had to be bought off Amazon because my Target barely ever stocked them, and I don't think Walmart ever did. According to Amazon a few more are slated for release next year, including a Ronda Rousey, but it seems this line is going the way of Monster High, Ever After High, DC Superhero Girls, etc, etc. - The general pattern for releases has been to have the basics in general clothing, sometimes with a logo or phrase attributed to the performer somewhere, while the deluxe ones come in wrestling gear with an alternate dress to switch them into. 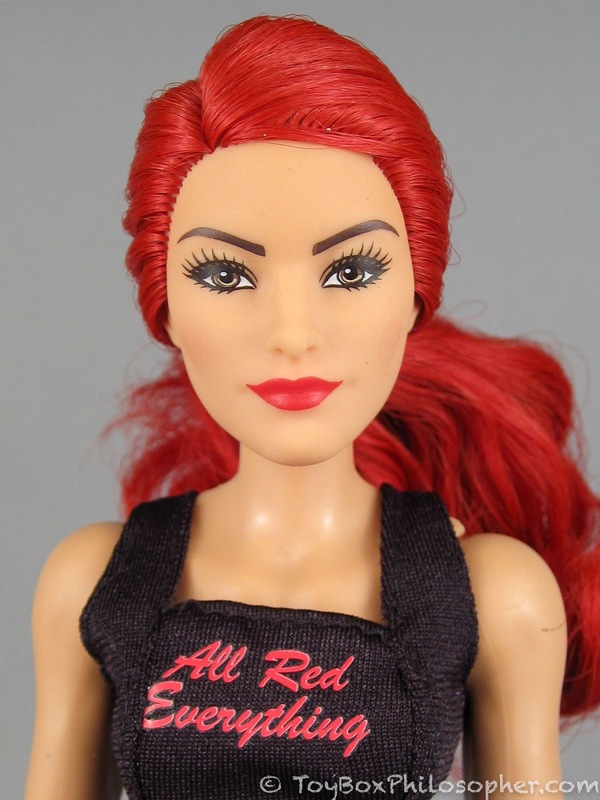 There was also a five pack released to TrU of Sasha, Nikki, Brie, and Natalya in alternate colored wrestling gear, with Becky in her first, and so far only, wrestling gear. Another 5-pack showed up on Amazon briefly, with the first ever Stephanie McMahon and others in wrestling gear, but who knows if it'll ever show up. - And a couple little notes for J. Stanley above, Sasha was released in two deluxe versions, one with white gear and a green dress, and a more recent one with red gear and a blue dress. Plus, Marvel Rising is by Hasbro, not Mattel, so there wouldn't be any part sharing. There is with the Star Wars Forces of Destiny, since Hasbro also did those. Hopefully they put more care and effort in to Marvel Rising, as they are nice so far, but when they're releasing dolls with double knees and no arm articulation, it seems unlikely. Ah, my mistake! They have knees that are super similar, hence my immediate assumption. 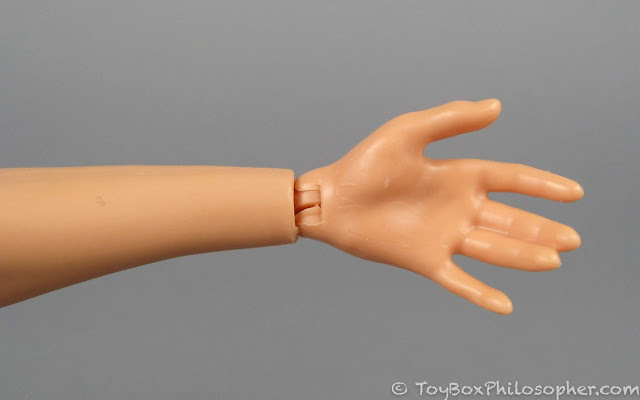 Perhaps beyond cutting corners, Hasbro was also leery of being sued by Mattel for trying to reverse engineer or otherwise suss out joints that are really similar to Mattel's super popular Made to Move series. I like where they're going tho and I also hope they push further in subsequent releases but it does seem very unlikely. Re: Sasha Banks, I don't recall her outfit being white. I remember it being purple like this. Also, here's the green dress. 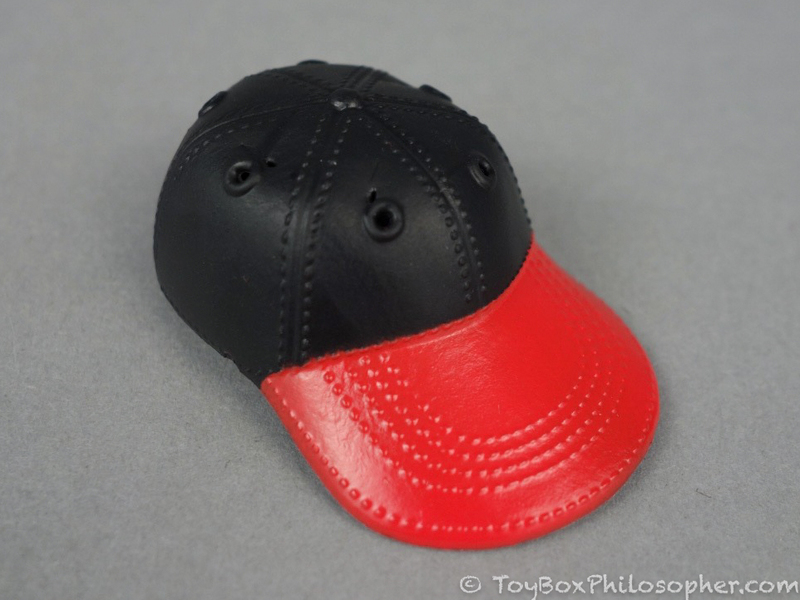 The style is good, the material just seems weird and off-putting to me. Whoops, forgot to add a promo picture I found. Also a good close-up of the green dress. I love the gold lining there. That's my bad, I immediately said white because that's what the one I had on display was wearing. Yes, the first release was purple and the green dress. The second release is red and the blue dress, which I just happened to get from Amazon yesterday and swapped out the white outfit for. The white outfit came from the 5-pack. That Sasha and Charlotte duo was an exclusive release for SDCC in 2017, as part of announcing the line as a whole. That's probably the most accurate ring gear they've done for any of them so far, such a shame it's so pricey to acquire now. NP! It's an easy mistake to make. Oh yeah, I forgot about the 5-pack too. They all have different outfits in that. That really is a shame that duo was such an exclusive. I think if they'd been selling them in such fancy outfits there'd be a lot more interest! WWE costumes are still costumes and while having some casual options are nice it's better to set them apart with the more theatrical stuff. I'm guessing they wanted to keep costs low but they could've had an additional line with deluxe outfits like this and just sold the casual outfits separately. Which reminds me... do doll clothes usually sell worse than dolls? 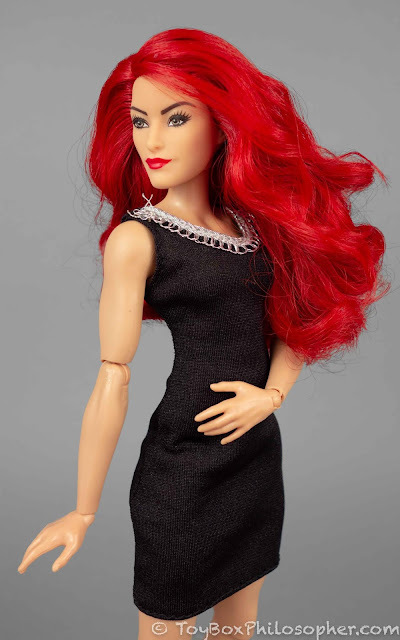 It feels like there's always a huge push for the dolls over just the clothing, which is why some lines don't even bother. I realize with so many distinctive bodies that a few won't sell as well but it's really annoying. My Charlotte Flair should be coming in the mail today! 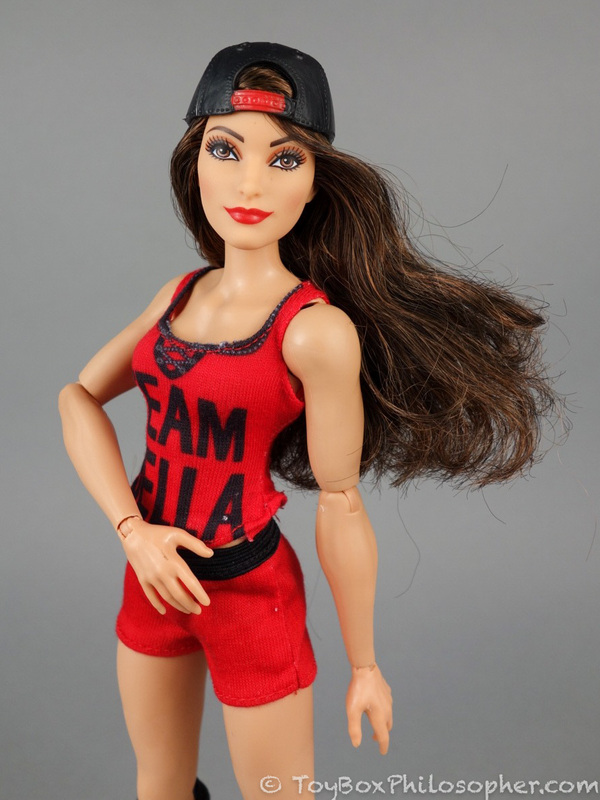 I'm a big WWE fan and it's great to have wrestlers in doll form. Sasha Banks said she loved Barbies as a kid and all the women seemed very happy about their dolls. 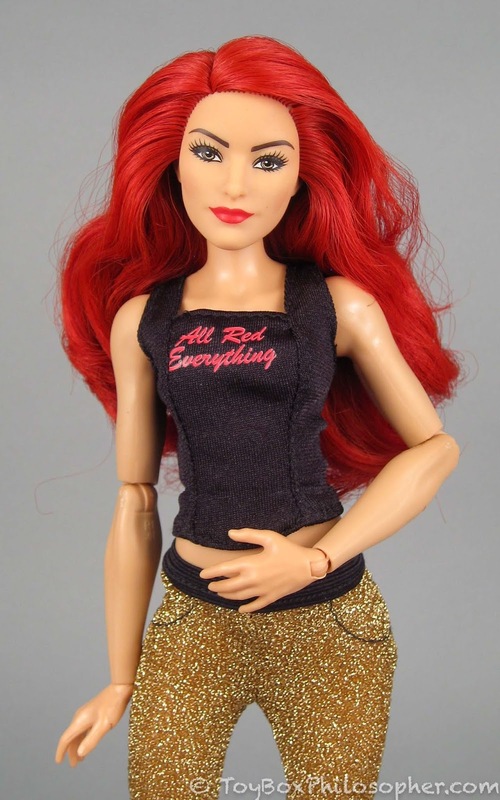 A lot of collectors seem to like the the dolls, even if they aren't wrestling fans, which is cool. 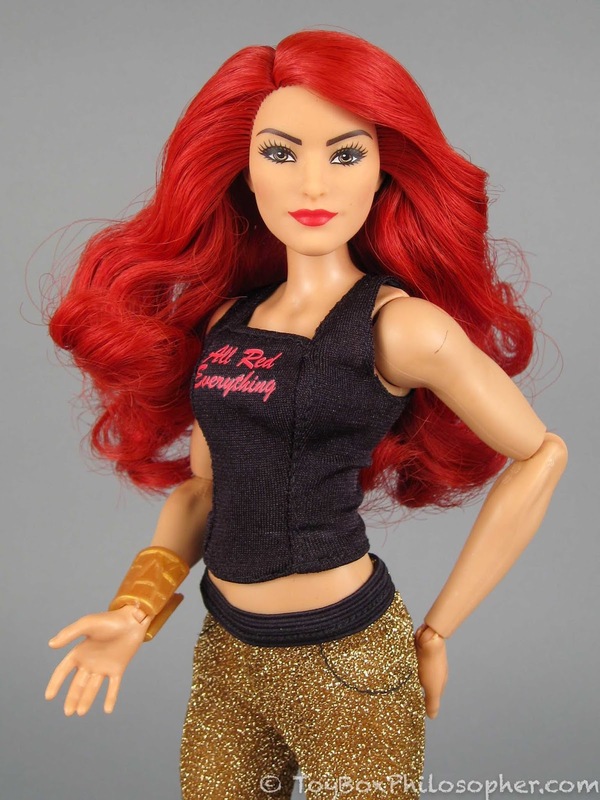 I just wish some of the dolls were more fitting to the characters. It just seems like whoever designs the line isn't really familiar the WWE. The likenesses aren't that great and I would prefer that the basic dolls come in ring attire as well. It would be cool to see fashion packs with different ring attire (Charlotte's gorgeous robes & Asuka's mask!) & titles belts! 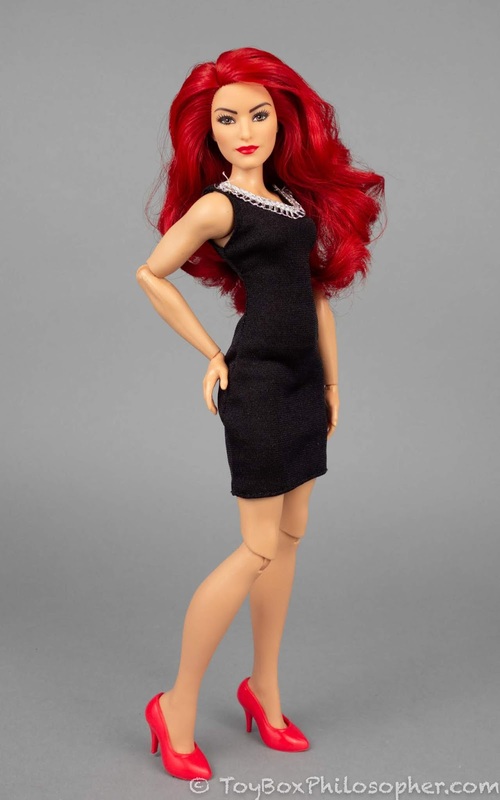 Casual clothes just don't seem exciting for these specific dolls since the real women have such an amazing job. It's like a superhero wearing their iconic costume! What the line really needs is a ring! What's the point of having wrestlers with no place place to work? What if kids want their dolls to have a Royal Rumble or make Charlotte do a moonsault from the top rope? They should have made a scale ring after the first line of dolls. Yes, yes, and yes. To all of that. 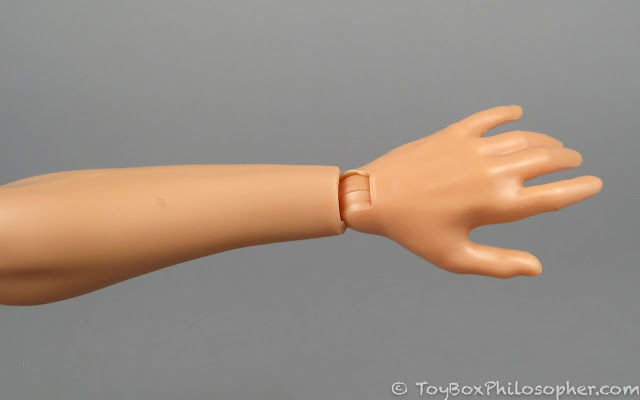 Unfortunately, it seems like Mattel just didn't want to go the extra mile with this line. On top of all that, if these were truly meant to be wrestlers, they should have had more articulation from the start. Double-jointed elbows and a torso cut would have made it far easier to re-enact many moves. 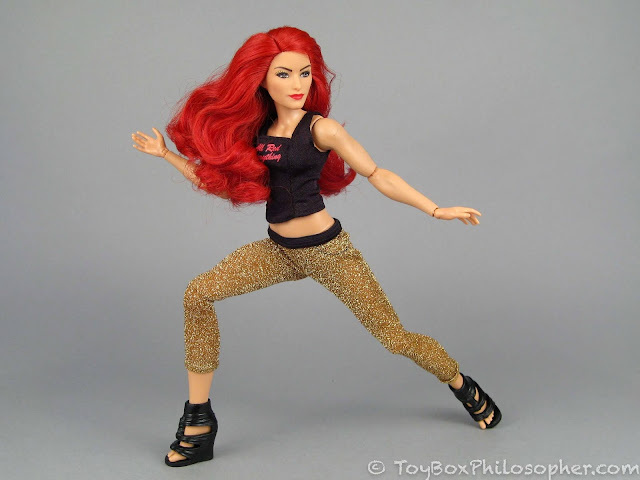 It doesn't help that Mattel found one body type and has stuck with it, when it's not completely accurate for many of them. 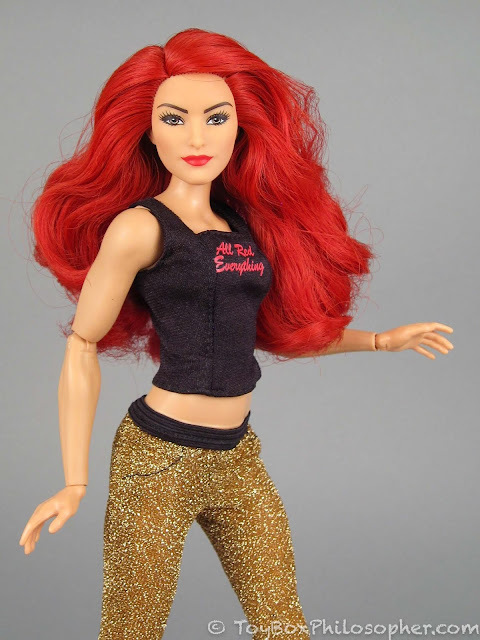 Yeah, they were never going to make an accurate body for every single superstar, but some variation would have been nice. Alexa should be smaller than the others, Asuka a tiny bit wider, and Natalya more muscular. 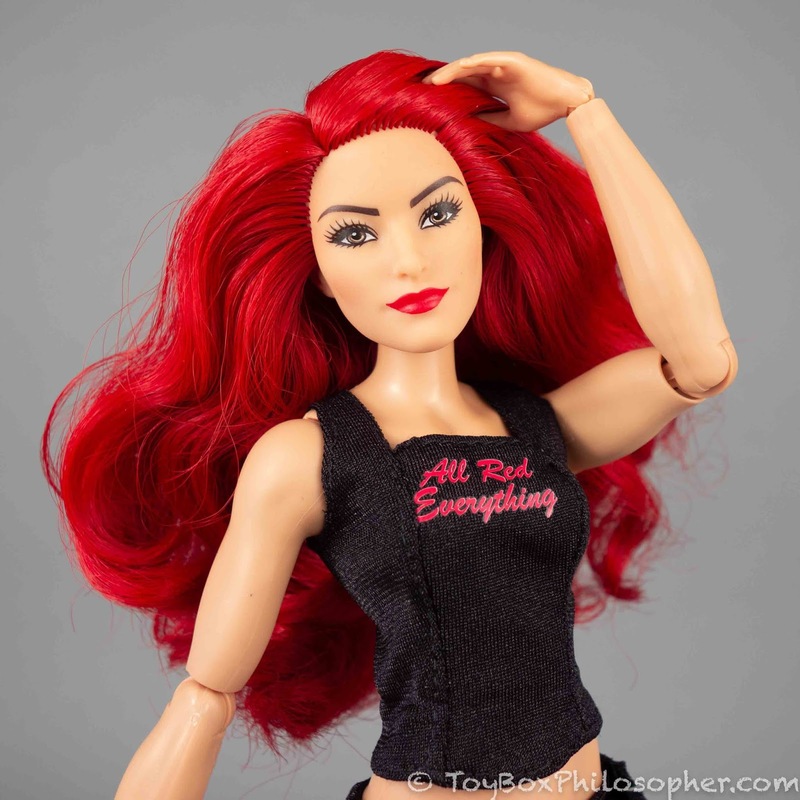 The Marvel Rising dolls came right out of the gate with a different body type for almost every one, so it could have been done. 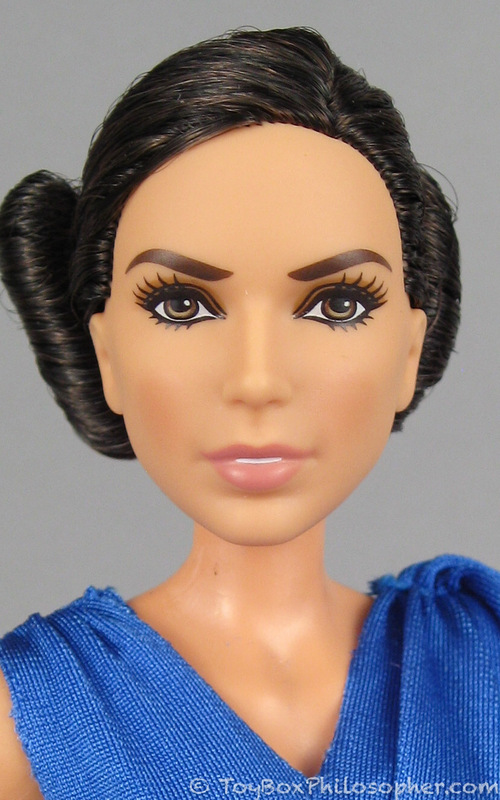 And let's not even get started on Nia Jax, whom it looks like Mattel isn't going to touch with a 10-mile pole at this rate. Had Mattel gone all in on this line, it could've been amazing. 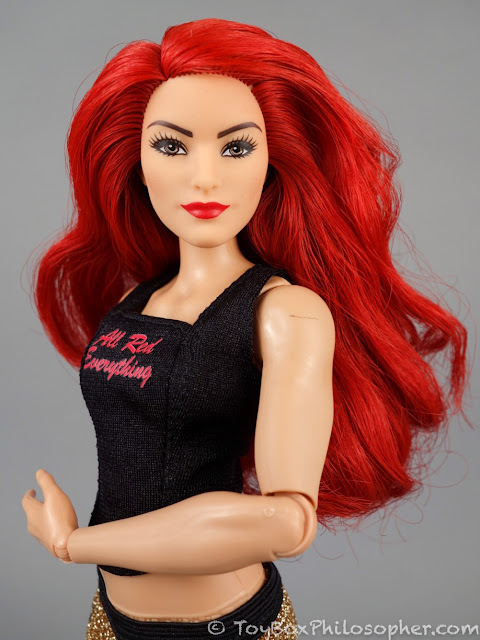 As it is, it's a pretty decent collection of female superstars in a style that helps them stand out from the action figure line. Best enjoyed when you can find them for under MSRP on Amazon, which does happen often. Thank you for the wonderful review. I love your photos and think they look great, but know you will get the most out of the new to you cannon as you fine tune the settings. I really enjoyed this review. 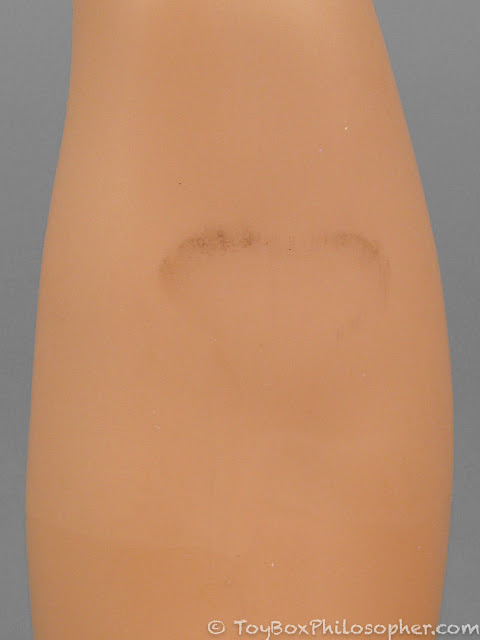 Looking at the dolls, the body seems very similar to the Monster High big sister mould, especially in the limbs - the torso is more adult. 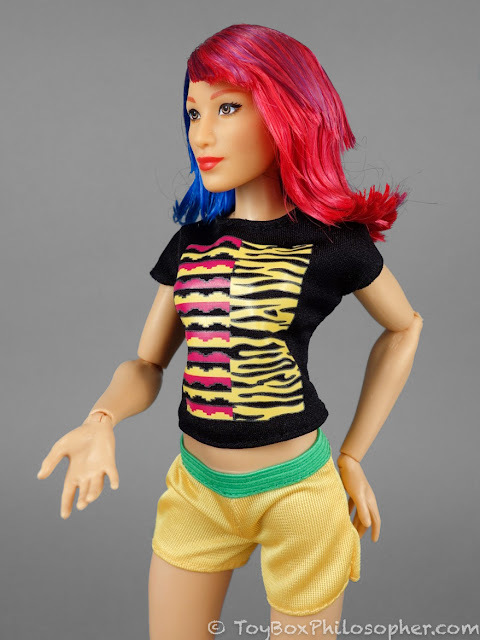 Even though MH is dead, I'm excited to see a similar body style still being used, it looks great on non-monster dolls! 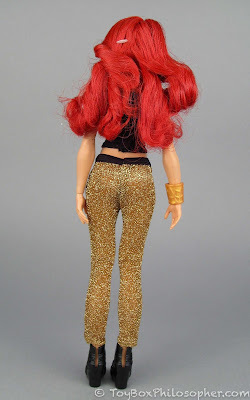 Psst, love the site, hoping to make my own doll site soon, but in the mean time, I urge you to review the new Glitter Girls! They're a step up from the last round, I think. 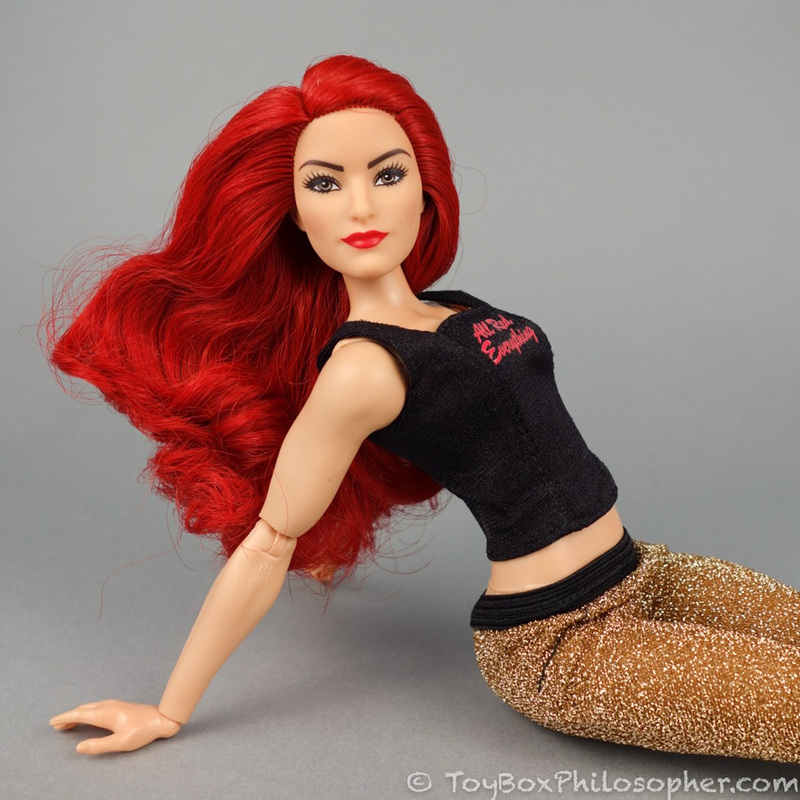 I really wanted to love the WWE dolls, with their muscular physique and all that, but their bodies are so disappointing! 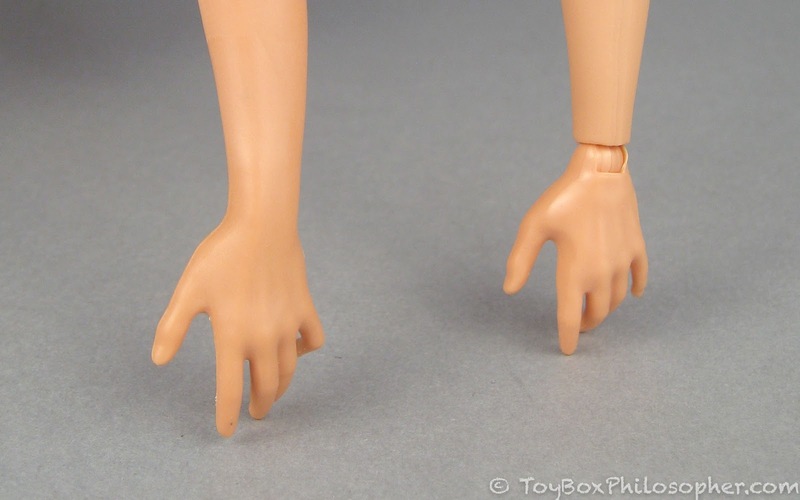 Those knees are iffy, and the hands look ready to just fall off the wrist joint. Also, the faces are kind of unsettling to me. 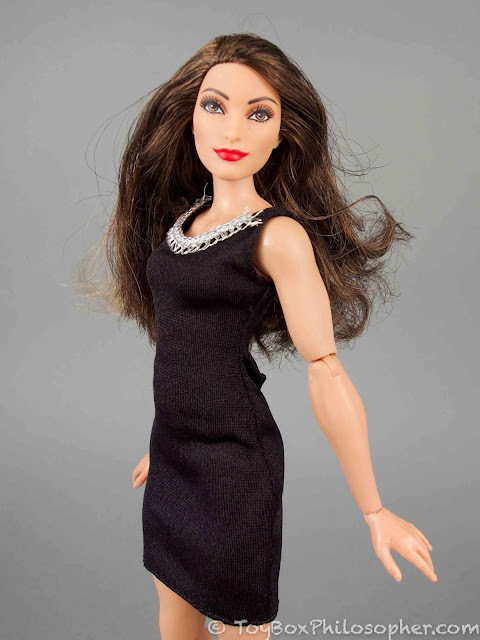 In reply to your Barbie body type comment -- have you seen there's a new Made to Move doll with the tall body type? She's a basketball player (of course). Long time, no hear. I hope you're doing all right. Love your site! 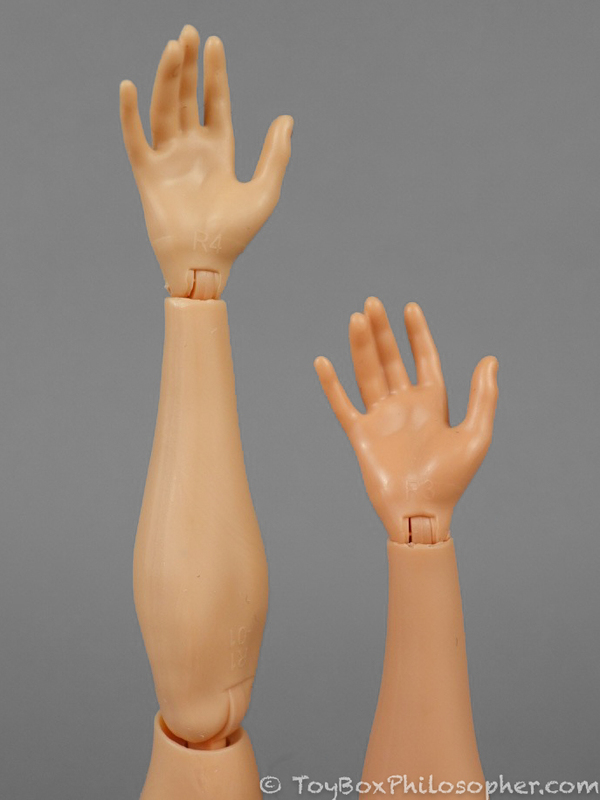 You should check out Special Dolls, a line of dolls with disabilities.